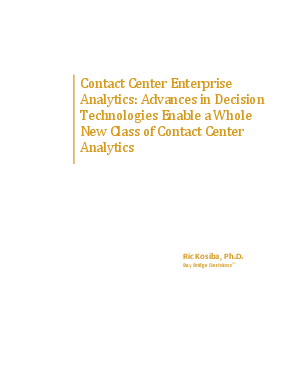 In this white paper, learn about the advances in decision techniques that are at the center of contact center enterprise analytics. Learn how computers shouldn't replace people as decision makers, rather, aid us in decisions that are hard to make. Topics include, the tactical analytics in the contact center industry, strategies in the decision cycle and more.